This Mr. Horsepower t-shirt is for the kid with an attitude! A new spin on the Iconic Mr. Horsepower Woodpecker, facing forward, feathers flapping from the high speeds from big horsepower. The Mr. Horsepower logos are silk-screened to the front left chest and on the back of this high quality 100% cotton t-shirt. 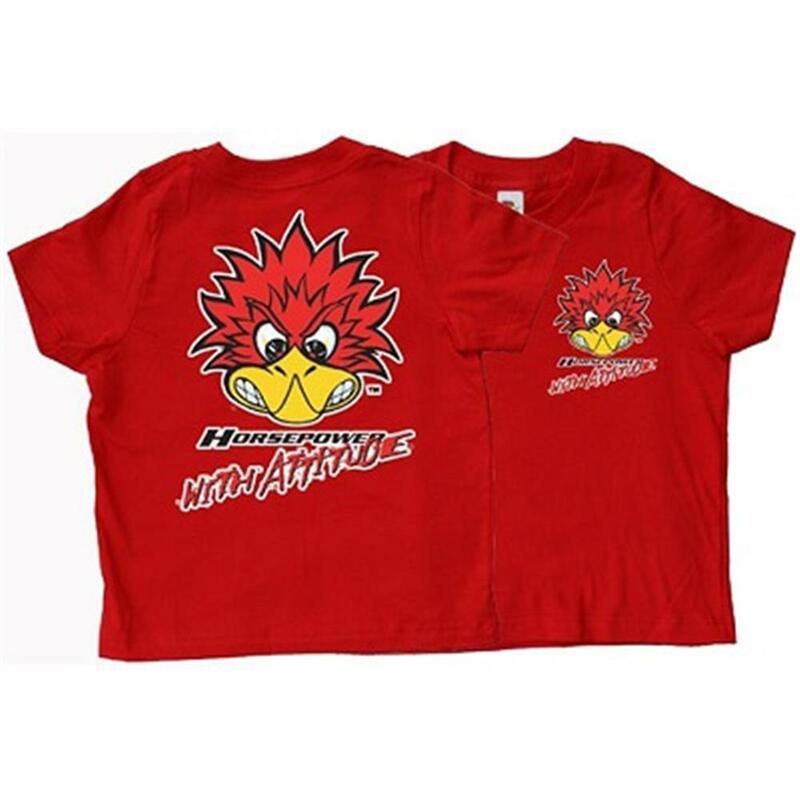 Available in sizes Toddler 2T through Youth Large.